It is written for several audiences: organizations taking the necessary steps towards social procurement implementation; others considering whether to or how to integrate social value into their current procurement practices; or simply those curi - ous about social procurement more generally. It includes relevant worksheets and exercises to guide you through the implementation process for your specific organ - ization, whether you are a non-profit, a corporation, a small business, an anchor institution, or any level of government. 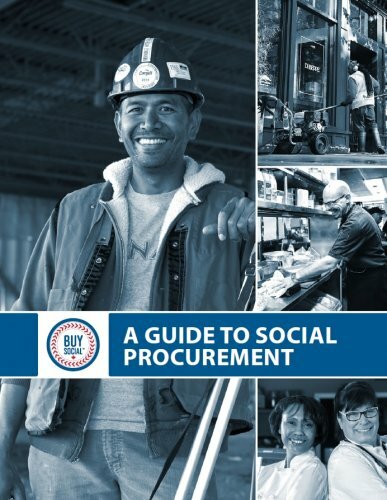 To supplement the core material in this guidebook, we have included several real examples of emerging policy and practice, as well as case studies of social enterprises, social purchasing, and community benefit agreements. While we encourage you to read the guidebook from start to finish, each chapter is designed to be able to stand alone. Feel free to peruse the chapters that are most interesting and pertin - ent to you and your organization. You will find all worksheets referred to in the text at the end of each chapter. Is it Legal to do Social Procurement?